Promenade software for Windows is now available. Use with a MIDI connection to the Oberheim Prommer for reading and programming EPROMs. Can also be used without a Prommer to visualize and organize drum machine audio samples. Free download! Give it a try today. 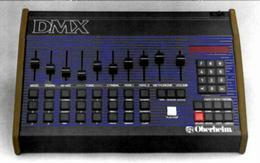 I am looking for any information about the original Oberheim DMX 1.0 model drum machine. This is a very rare, early version of the DMX which is distinctive in that the LED display is located in the center of the front panel, instead of off to the right side, and there are only two trigger buttons per voice instead of three. I believe there were only a handful ever built. If you own one of these machines, or have any photos, schematics or other documentation about this machine, I would love to hear from you. Please contact me (Paul White) with any leads. Thanks! Due to the increasing cost of materials, I'm raising the price for handmade DX, DMX and DSX walnut end panels from $20 to $25 each. I'll be building more panels this weekend. The new DX MIDI boards are in, and I'll be shipping existing orders this week and next week. 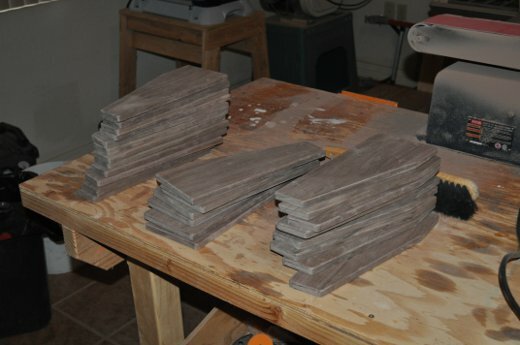 Now, I need to make some more walnut end panels, but I should be able to do that this weekend. I placed an order today for more DX MIDI boards from the PCB fabricator. I expect to receive them in about three weeks, and complete final assembly and testing and have them ready to ship by the end of the month. Due to an increase from my supplier, I had to raise the price of replacement DLR1414 display modules to $35. I just finished a small batch of DX MIDI boards. Ready for shipment on Monday. I posted some instructional YouTube videos about cleaning switches and replacing slide pots on an Oberheim DXa. Here, here and here. Updated the installation instructions for the DMX MIDI board with new photos reflecting new version of board. I completed the fabrication on a new batch of end panels and they are now ready for finishing. I have run out of walnut panels for the time being. I hope to get a new batch started in a week or two. By the way, I have quite a few used panels available, including several of the plastic DX panels. Used walnut panels are half price ($10 each) and plastic panels are available for free for as long as the supply lasts. Shipping is extra in both cases. The new DMX MIDI boards are in, and with successful testing, they are ready to go! On-board lithium battery to replace the old, leak-prone NiCd battery. Optional MIDI Thru output (Select either MIDI Out or MIDI Thru, or add an optional third MIDI jack for both). 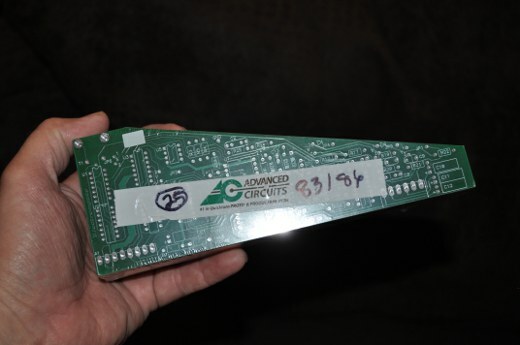 Secure hold-downs for the the Electrongate MRAM board, in case you want to do away with batteries altogether. New DMX MIDI boards have been ordered and should arrive in about two weeks. This is a new revision and includes some nice new features. 1) There is an option for a lithium memory backup battery on the MIDI board, eliminating the old NiCd battery which was prone to leakage and required periodic charging. 2) Mounting holes have been added to the board to securely support the MRAM board option which allows eliminating batteries completely. 3) Components to support an optional MIDI Through jack have been added. A potential hardware bug has been found in the DX MIDI board REV. 1.01 (Stretch version only). The symptom of the bug is a doubling of the recording and playback tempo when using the internal DX clock source. I've already notified Stretch owners by email, but if your Stretch DX is showing this problem, it may be corrected by replacing the 74LS32 IC (U4) on the MIDI board with a 74HC32. I will be glad to send a new 74HC32 at no charge to owners of a DX Stretch with the Electrongate MIDI interface. If your Stretch is not showing this symptom, no changes need to be made. Added a pictorial showing how I make the walnut end panels sold with DMX and DX MIDI kits. See it here. Added DSX ECOs (Engineering Change Orders) and revision 3.01 software operation guide to the OB Files page here. Added DSX Service Manual to the OB Files page here. Added DX factory sequence tape image here. Added photos showing Prophet 5 installation for MKC-1 MIDI-Keyboard converter here. New details about the tap tempo version of the MCC-3 have been posted here. At the request of Forat Electronics, the copyright holder of the original LinnDrum samples, I have removed the Linn samples that were previously available on this site. Sorry for the inconvenience, but you can still get programmed Linn EPROMs from Forat. Related to the math error mentioned below, all the WAV file samples in the EPROM sound libraries have been updated with corrected versions. Updated Promenade to correct a math error in conversion of bin to wav files. New version is 1.03. Added a "reggae snare" sample to the DMX/DX samples page. New DX/DMX MIDI jack plates, ready for painting. The link I had for the DX User Manual on another web site was broken, so I posted a new cleaned-up copy of the manual here. This is the second edition of the manual, covering the DX with factory MIDI, as well as units with the Electrongate DX MIDI upgrade. I added a new product page for the MKC-1, a MIDI to Keyboard Converter. This board can be used to add simple MIDI control to older Oberheim synths (OB-X, OB-SX, OB-Xa) and the SCI Prophet 5. New DX/DMX walnut end panels are here! In this photo, you can see them after sanding, before drilling the holes and routing the openings for MIDI jacks. The panels are sorted into three piles based on which side has the best appearance: left side, right side or two good sides. Added Matrix-12 voice board OS images and moved all other ROM images to a new page. Many people have asked me about replacement voice boards for the DMX. I'm glad to announce that I now have these available. The design is based on the original 1554 single-EPROM voice board with a few minor improvements. The basic sound playback circuitry is identical to the original, so the sound is the same. The boards will work with the original 24-pin 2732 EPROMs, but the new board also supports 28-pin 2764 EPROMs with two 4K samples that can be selected by a switch, either directly attached, as shown here, or through the external control voltage connector. The new professionally machined and silk screened cases for the MCC-3 are in! Check out photos and information here. PayPal ordering and further information coming soon. I just uploaded a tutorial video on YouTube showing how to clean a volume fader on a DX or DMX. Added a DSX test EPROM image..
Added schematics for the DXa. 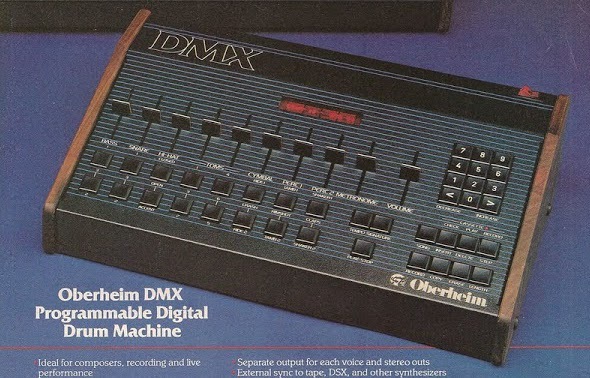 Added a DX FAQ for frequently asked questions about the Oberheim DX drum machine. Added DSX OS ROM images to the OB-Files page. Added links to some OS ROM images in the OB-Files page. Posted some Drumware and Digidrum samples here and here. The 100th Electrongate DMX MIDI upgrade is ready to ship! Removed non-working Google Friends link. Added some missing dates to older blog entries with the help of the WayBack Machine. Added the DMX switch board parts layout drawing to the OB Files. Promenade, a Windows application from Electrongate is now available for download or purchase on CD-ROM. Promenade is an interface program for the Oberheim Prommer, and supports data transfer, remote control of reading and programming EPROMs and has a nice visual interface. Prommer owners, give it a try and let me know how it works for you. Added Am6070 DACs to the products page here. Added scans of all the ECOs I could find relating to the Oberheim Xpander here. Added a schematic for the DMX memory expansion board to the OB-Files page. I added a page comparing the DMX and DX. If anyone sent me email on Friday (October 28), could you please re-send it? My mail server was down all afternoon and I may have lost some emails that were sent in the afternoon. Thanks! The Stretch features on the new DX MIDI board work perfectly. 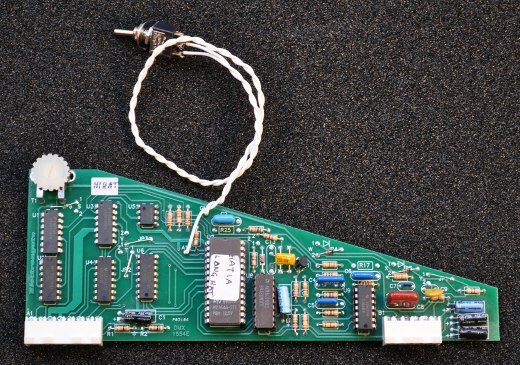 The long ribbon cables that connect the Stretch to the DX main board, combined with the higher clock speed of the MIDI board Z-80, caused problems when installing the older DX MIDI upgrade in Stretch DXs. The new board is designed to eliminate the noise on the address and data lines that caused the problem. The redesign also moves the RAM chip that was previously moved to the Stretch board, back to the DX main board, for better battery backup reliability. The Stretch cables now plug into sockets on the MIDI board, rather than the DX main board. Thanks to Jimmy Gillan for the loan of his Stretch DX for my testing! The parts have arrived and DX MIDI kits are available again. The new board works great, and I will be building some more this weekend. I hope to test the Stretch features on the new board in the near future. While waiting for DX MIDI parts, I did some work on Promenade, my Prommer interface program. The new version is almost ready for release and supports lots of neat new features, like saving and loading .BIN, .WAV and .HEX files with automatic conversion from WAV to BIN and vice versa. Drag and drop is now working, to make it easy to load sound files. Clicking on the waveform display will now play the selected sound through the PC speakers. The PCBs for the new DX MIDI upgrade have been ordered and should be here next week. I've been working an a new PCB layout for the DX MIDI upgrade, since I ran out of boards from the last batch and needed to correct some errors in the original design. I have decided to eliminate the built-in MRAM option, for a few reasons. It was expensive and not many people were really interested in it. The lithium battery system in the DX really works pretty well as it is, especially compared with the NiCd battery system in the DMX. It made the MIDI upgrade PCB layout more difficult. Adding MRAM to the DX is still an option by installing a MRAM board on top of the MIDI upgrade, or directly into a factory stock DX. I am also adding a Stretch interface option to the DX MIDI board that should eliminate a couple of problems with the Stretch that turned up when people installed the old DX MIDI board in their DX Stretch units. Watch for the new DX MIDI board in the products section, coming soon! Yay! I found a source for the Am6070 DAC ICs that are used in the DMX and DX and bought a bunch of them, so I have them in stock now. That means that I will have a few more 1554 (single EPROM) and cymbal #1 voice boards available for sale. New in the products section: The UniTrigger (CV-to-MIDI box) and MIDI Clock Converter (MIDI clock to clock pulse gadget). Check them out! New in the DMX EPROM images department, Beat Kick and Beat Snare samples have been added. I just added a new version of the addendum to the DMX Owner's Manual for revision 4 firmware (MIDI). This is a 17 page document with details about the new edit parameters and describes lots of stuff you may not have known your DMX was capable of. For example, did you know that you can use "tap tempo" to set the tempo on the DMX? In the document, it's referred to as "Cue Tempo," but it's basically the same thing. And did you know that you can save and load the sequences and songs in the DMX over MIDI? I encourage current owners of MIDI DMXs (including those with the Electrongate MIDI Upgrade) to download this PDF document and find out what the DMX is capable of! I added a link for Google friends at the bottom of this page. DX MIDI News: The DX MIDI upgrade is now available with built-in Magnetic RAM, so you can combine two upgrades in one. The instability problem has been fixed and after several days of continuous testing, I've decided it's ready to release. Place your order here. MKC-1 News: The glitch in the MKC-1 is fixed. Everything is now working perfectly with the OB-X. In theory, it should also work as well in the OB-SX, OB-Xa and OB-8, since all of these use the same keyboard interface method. I'm pretty sure the MKC-1 will also work with Oberheim TVS and FVS systems. The first MKC-1 prototype is up and running. I'm testing it on an OB-X at the moment (thanks to B.C. who loaned me his). It seems to be working very well with the OB-X, with only a minor glitch in the top octave of the keyboard, which I should be able to fix without too much trouble. The keyboard pass-through is working fine, and MIDI in and MIDI out are both working as well. I still need to test the local control on/off and onmi-off functions, but it's looking good. The price for the MKC-1 will be $129, and once I get a few more built and tested, I will put an ordering link up on the products page. My first tests with the DSX led me to discover that the DSX firmware version I have (3.04) doesn't support an external keyboard as described in the owners manual. It looks like I will need to work on a modified version of the DSX firmware in order to make the MKC-1 work with the DSX, and that will take some time. Ten MRAM boards are complete and tested. I made a small modification to this batch, which I think will result in improved reliability. DX MIDI kits are now sold out. Expect 1-2 weeks delay. A new batch of MRAM boards is almost ready. DMX MIDI kits are sold out. Expect 3-4 weeks delay if you order one. Update: I just ordered printed circuit boards for the new MKC-1 (MIDI to keyboard matrix converter), which will emulate an external keyboard in the Oberheim DSX, as well as adding MIDI keyboard control to any of the older non-velocity Oberheim synths (OB-8, OB-Xa, OB-SX, OB-X and possibly even the SEM based systems. I expect boards to arrive in about a week, and if all goes well, testing will begin shortly after that. The firmware is written, just awaiting hardware for testing. A new batch of walnut end panels have arrived. I recently finished building more DMX MIDI kits and still have some DX MIDI kits in stock. I'm currently building more Magnetic RAM boards. I did a custom modification of a DMX last week which added a Sync24 (DIN sync) output to the DMX. I tested it with a Roland TR-606 and it worked pretty well. I'm thinking of adding this as an option on future DMX MIDI upgrades, or perhaps as a stand-alone mod. 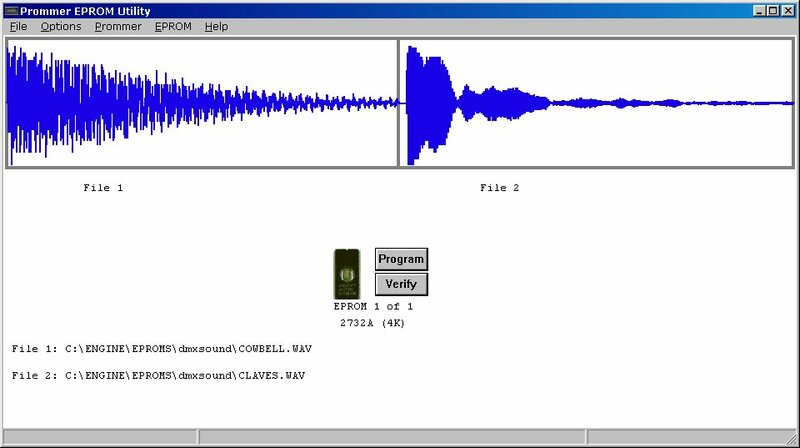 Oberheim Prommer owners: I'm working a Windows application that will let you transfer data files to and from your Prommer so you can program EPROMs. All you need is a Prommer, a MIDI interface for your computer and two MIDI cables. I should be releasing this program soon. If anyone is interested in testing a preliminary copy, let me know. There is a new version of firmware for the DX MIDI kit which fixes a problem in the Stretch DX. This version will ship with all future DX MIDI kits, but current owners do not need to upgrade unless they have a Stretch DX. Thanks to Bruce Forat for helping me find and fix this problem! Now accepting DX and DMX repairs again. Contact Paul to arrange shipment of your machine to San Jose, California. Basic overhaul price for either machine is $89, which includes switch cleaning, new battery if needed, minor repairs and return shipping via UPS within the USA. Some repairs may require specialized parts or extra labor at additional cost. Turnaround time is usually one week or less. Electrongate is moving! We are temporarily unable to accept machines for repair. This situation should change within a couple of weeks. Please do not send any shipments to the old address. Please contact Paul White to arrange shipment of your DMX for repairs or upgrades. I am withdrawing the MRAM option for the DX MIDI board due to some reliability issues. The basic DX MIDI upgrade is working fine, but the PCB layout of the MRAM section turns out to have some problems. Sorry about that. I shipped the first five DX MIDI upgrade kits this morning! More should be ready to go out tomorrow. Now in the accessories product page: DSX ribbon cables to connect your DSX sequencer to your classic Oberheim synthesizer. Work is progressing on a DX MIDI upgrade. Watch this space for an announcement soon! My stock of 1554 DMX voice cards is starting to run very low, so I am designing a replacement voice card that will sound just like the original (using the same filter circuit), but will have more options for different EPROM sizes and be easier for the user to configure. Stay tuned for more info. I just found out that the DMX Files were mentioned in this article in The Guardian, written by David McNamee. Thanks, David! The Magnetic RAM upgrade has been successfully tested and is now available for the Oberheim OB-8 synthesizer, as well as all versions of the DMX and DX drum machines! Check the products page for ordering information. New! Magnetic RAM upgrade for Oberheim Z-80 based products (DMX, DX, OB-8, OB-Xa, OB-X, DSX). The circuit boards are in, and the DMX version is tested and working correctly! This upgrade replaces the battery RAM with a new magnetic RAM technology -- no more battery replacements, no more battery leakage, no more memory loss due to dead batteries. A small circuit board plugs into the Z-80 socket and the Z-80 is moved to the Magnetic RAM board. The old RAM ICs and battery are removed. That's it! No soldering required. This board will work with all versions of the DMX, including the MIDI version. The MRAM board has been successfully tested on three versions of the DMX, the DX, DXa and now the OB-Xa and OB-8. Sequential Circuit Drumtraks EPROM images now available here. New samples on the DMX EPROM image page: Electric Kick, Electric Snare 3, Long Hi Hat, Long Noise and Scratch. Visit the new Friends of Electrongate page! If any of my customers or other friends would like to be added to the list, just drop me an email. Due to the battery price increase, the cost for a DMX tuneup is going up to $89. Batteries! We now have replacement lithium batteries with solder pins as used in the Oberheim DX, OB-X, OB-Xa and OB-8. Due to a price increase from my supplier, the cost of replacement DMX/DSX batteries has gone up. Check out the new product page -- you can use PayPal to buy cool DMX accessories! Click the link at the top of the page. THUMBSCREWS! 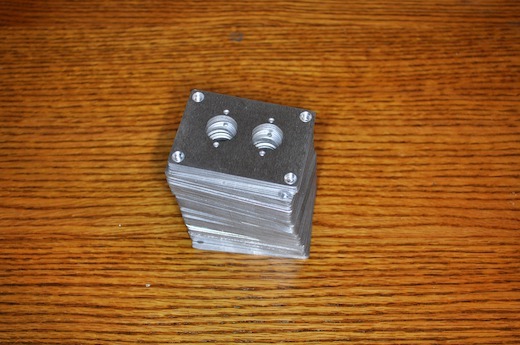 We now have a supply of those cool thumbscrews for the front cover of your DMX or DX. These make it easy to open your drum machine to change EPROMs or voice cards without using any tools. A set of two thumbscrews is available for $5.00, including postage to anywhere in the USA. Click here to order. KNOBS! We now have replacement volume slider knobs for the DMX available. These are exact replacements, newly manufactured by Rogan, the company that made the original knobs for Oberheim. The same knobs are also used on the Oberheim DX (and Stretch). Click here to order. 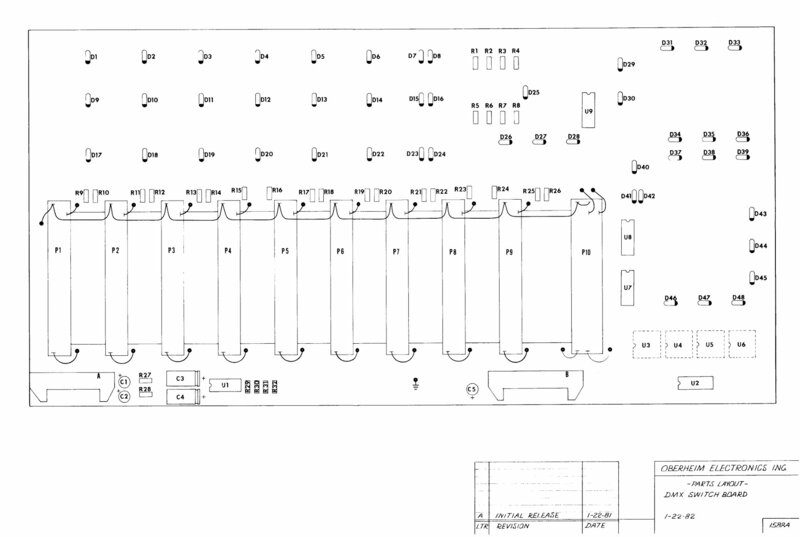 Just added: Oberheim DX schematics and part layout drawings here. Started blog on this page. DMX picture is colorized, "In color" added to page title. DMX Files goes online with a black & white image at the top of the page. This information is provided as a public service by Electrongate. These documents are primarily intended to provide guidance for those wishing to modify Oberheim DMX voice cards. A basic knowledge of electronics, circuit board assembly procedures, parts handling and soldering is assumed. If the reader is not comfortable making any of these changes personally, a competent electronic technician should be consulted. These documents are believed to be correct to the best of our knowledge, but Electrongate will not be responsible for any damages or injury caused by information provided herein. The reader should proceed with due caution, and any modifications are made at the reader's own risk.